SUNDAY 18TH NOVEMBER 2018: The 32nd Swansea Scout Troop are back with us with their leader, Ben Ball. 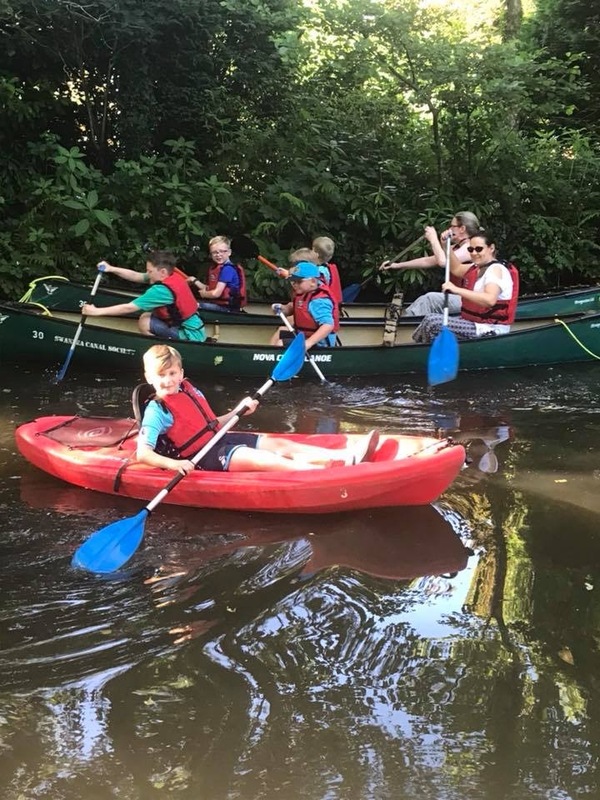 They had a most successful day working with us at The Ynysmeudwy Locks in October and now they are returning to do some light work around the Coed Gwilym Park Canoe Store. They will meet up with us at 10.00am in the Coed Gwilym Car Park. After some litter picking, checking of bird boxes and cleaning up (which counts towards the scouts individual certificates) comes the reward. 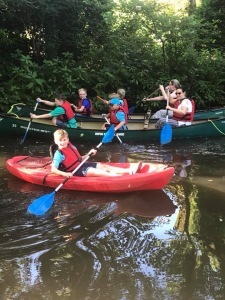 The scouts under the supervision of Warren Huxford, our qualified instructor, will be able to use the canoes until 1.00pm. The canoes will then be cleaned and stored back in the canoe store for the winter. We are delighted to have Ben and the Scouts back with us. TUESDAY 20TH NOVEMBER: Work Party meets at Brownsters Cafe Clydach between 8.00am and 9.00am. Work starts from the Car Park of St. Benedict’s Church, Pontardawe Road, Clydach at 9.15. We will be cleaning the piles of Canadian Pond Weed that we have dragged out of the canal north of Clydcah Mond Lock. A lot of it can be used as base compost for the plants we will be plating in the Buried Lock Site. 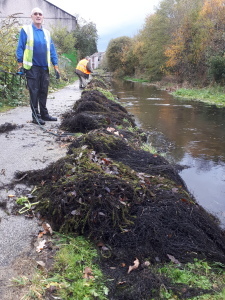 We will also continue dragging more of the weed out of the channel.